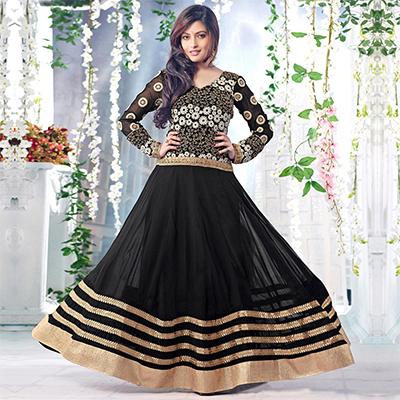 The georgous black anarkali has v neck design and is covered with flowers in the chest sleeves with beautiful border in the hemline. The beige dupatta has border in it as well. The fabric used in the top is georgette with lining of santoon salwaar is santoon and the dupatta is chiffon.